Tragic events of September 11, 2001 profoundly impacted the immigrant community. The Department of Justice and the U.S. Congress have passed at least two dozen statutes and federal regulations since September 11 that circumscribe the lives of immigrants. Deportation and removal from the United States foreign nationals with criminal convictions are the main concerns of the Department of Justice and Department of Homeland Security. This web page provides an overview of the crimes that subject foreign nationals to removal and deportation from the United States. Crimes of moral turpitude include conviction of, or admission to, the commission of a crime involving moral turpitude (other than a purely political office) or an attempt or conspiracy to commit such a crime under INA 212(a)(2)(A)(i)(I) and INA 237(a)(2)(i). 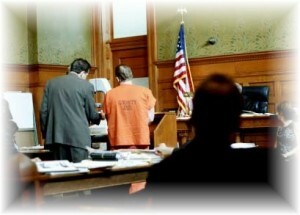 Multiple criminal convictions create grounds of inadmissibility if an alien has been convicted of two or more offenses, regardless of whether a conviction was in a single trial, the offenses arose from a single scheme of misconduct or the offenses involved moral turpitude for which the aggravated sentence to confinement was five or more years. Multiple criminal convictions create grounds for deportation if an alien has been convicted of two or more crimes involving moral turpitude not arising out of a single scheme. Aggravated felonies as defined under INA 101(a)(43). Aliens convicted of a violation of 18 USC 758 (relating to high-speed flight from an immigration checkpoint). Violation of (or a conspiracy or attempt to violate) any law or regulation of a state, the United States or a foreign country relating to a controlled substance as defined in section 102 of the Controlled Substances Act 21 USC 802. Involvement in illicit trafficking in any controlled substance or in any listed chemical or knowingly aiding, abetting, assisting, conspiring or colluding with others in the illicit trafficking of any controlled substance, listed substance or chemical. Alien’s spouse and children of drug traffickers who knowingly benefit from drug trafficking. Persons who are drug abusers or addicts. An alien who has been a drug abuser or an addict any time after entry is deportable. It is very important not to make any admissions on the record regarding use and addiction to controlled substances. It should be noted that, under the relevant statutory provisions, conviction for possession of fewer than 30 grams of marijuana does not subject an alien to deportation. Possession of the aforementioned amount of marijuana is a bar to admissibility (i.e. seeking adjustment of status), but you might qualify for a waiver available under INA 217 (h). While possession of cocaine is not an aggravated felony, possession of crack cocaine is. Aliens who, while in the United States, engage in prostitution, or who have engaged in prostitution within ten years of the date of application for admission; aliens who procure or attempt to procure or import others for prostitution, or receive or received proceeds of prostitution within ten years of application for admission, or who are coming to the United States to engage in any other unlawful commercialized vice, whether or not related to prostitution. Aliens who have committed certain serious offenses for which they received immunity and departed from the United States. Aliens convicted under any law of purchasing, selling, offering for sale, exchanging, using, owning, possessing, or carrying or of attempting or conspiring to do so, any weapon, part or accessory which is a firearm or destructive device as defined in 18 USC 921(a) in violation of any law.